Education and philosophy are closely inter-related. Philosophy is the corner stone of the foundation of the education. Philosophy answers thousands of questions in the field of education. Pragmatism is recognized as the native philosophy of America. Historically the Pragmatic approach can be traced to Protagoras, a sophist Philosopher of ancient Greece who said “Man is the measure of all things”. John Dewey (1859-1952) becomes its leading and most influential exponent. He practised it in his laboratory school set up in Chicago in 1896.His purpose was to train pupils in co-operation and mutually useful living. 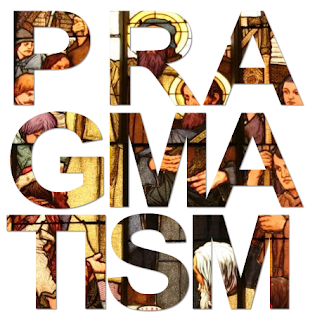 The term Pragmatism is sometimes called “Progressivism”. “Progress implies Change. Change further implies novelty”. So education cannot be convenience of as acquired once for all. Life has become as complex as is subject to rapid modifications that the child has to face new problems and education should enable the child to learn new techniques and problematic situations. Problem solving is at the core of all the education. The educative process becomes empirical, experimental and piecemeal: in a word Pragmatism. Ø Pragmatists believe that man is primarily a biological and sociological organism. Past, for man is dead and go on. Tomorrow would come with its own problems and with their own problems. Ø Human beings are essentially active. Here emphasis is on action and learning by doing. Action is real and ideas are tools. Ø There are no absolute values of life. Values are flexible. They change with time and circumstances. Ø Mind is dynamic process, which functions within a man. The human mind is the product of change. The growth of personality is the product of action and discovery. Development of personality is possible only in social context. Ø Truth is that which works in practical situations. It is workable. Ø Thought and knowledge emerges from search and enquiry. Ø Pragmatism makes activity; the basis of all teaching prefers self activity in the context of co-operative activity. According to the pragmatic view the function of education is to bring about certain changes in the behaviour of the individual. These changes relate to the physical, intellectual, and the moral development of the human beings. They reflect the growth of the individual, as the process of education goes on and the individual continues growing physically, mentally, and morally. Since this process starts from birth and continues throughout life. Education is broadly conceived as a life-long process. Pragmatism rejects the idea of accepting eternal truths and fixed principles. Truths are good and proved by human experience. In the process of education values and truths are discovered at each stage and as the individual goes on discovering them he goes on acquiring more and more self-confidence and breadth of vision which is indicative of his growth and realization of some objectives. Educational aims are not at the end of process of education. They are rather within the process and as the individual go on achieving some educational objectives. Pragmatism stresses experience based curriculum (activity based curriculum). v It assigns due place to the interests of the child. v It gives integrated knowledge around a particular problem of life. v It provides problem solving activities. v The pragmatists’ curriculum consists of totality of experiences that the pupil receives through the manifold activities in the school, in the classroom library, laboratory, and play ground. v It emphasizes subjects and studies like social studies, physical training, hygiene, mathematics and science. In pragmatism, there is no place for rewards and punishments. It stresses social discipline. Pragmatism believes that discipline comes through purposive and cooperative activities. According to John Dewey, discipline is the proper use of one’s energy and power. It advocates self discipline. Activity is the central point in the whole educative process. In all creative learning two agencies are evolved-the educator and educand. No real learning is conceived without the co-operation between the two to achieve their common purposes and goals. Co-operation of the two in pursuing an activity gives rise to the process of education. Action is the primordial; unless there is any action, there is no thinking. Real education is not mere imparting of bookish information; real education means pled up in many continues experience or activities. The basis of all teaching is the activity of the child. v The dominant interest of the child is “to do and to make”. v The duty of the teacher to teach his pupils to do, rather than to know. v The method should be flexible and dynamic. It must be adaptable and modifiable to suit the nature of the subject matter and the potentiality of the students. v The pragmatist’s curriculum provides for creative and purposeful activities in the teaching-learning process. v Pragmatism regards teacher as a helper, guide and philosopher. v Pragmatist’s suggests Project method, consisting of purposeful activity carried out in a social environment, pupils learns by doing. v Learning by doing makes the pupil creative, confident and co-operative. v Methods like problem solving, play-way, experimental and laboratory techniques which follows the principles of learning by doing. Old and traditional education is lifeless. To them education is a continuous re-organizing reconstructing, integrating the experience and activities of race. They want to conserve the worthwhile culture of the past. Real knowledge can be gained only be activity, experiments and real life experience. Thus in order to develop the child fully that he should be provided opportunities to participate more in activities and experiments so that he creates his own values and lead better, richer and happiest life. The child is to develop and life for the society, so his personality can be best developed in social environment. If it were not for his contact with other peoples he would never achieve a personality at all. The person who interacts with others has the ability to examine one’s needs in an objective way and he has the capacity for reflection and intelligent action. They are inconceivable without the give and take of the social environment. Thus education will be useful if it brings about the growth and development of the individual as well as the society which he lives. Each child is born with inherent capacities, tendencies and aptitudes which are drawn out through education. In the words of Dewey “Education is the social continuity of life”. To pragmatist education is life itself and not preparation for life. Thus it wants to clear to the educator that the four things are inseparable i.e. man and nature, individual and society, mind and body, and thought and action. In the words of Prof. V. R. Tenaja ‘The pragmatists wish that the educator should have realisable aims in order to meet the struggle of life in a rational way. Education is a process of development. Knowledge changes with circumstances and it gained by continuous experiments and experiences leads to one to another and so on and the area of knowledge is widened. The process of reconstruction of experiences goes on and leads to adjustment and development of the personality. For pragmatists educational process has no end beyond itself. In addition to the individual it is continuous, reorganising, reconstructing and integrating the experiences and the activities of the race. Education is the birth right of each individual, so the state should shoulder the responsibility. It is for the state to make the child capable and confident to meet the problems and challenges of life successfully. It does not raise the question of ultimate reality behind things. According to it whatever is apparent is real. There is no place for spirit or essence. Humanities and cultural activities find no place in the pragmatic scheme of education. It ignores the past as well as the experience of the past. It lays emphasis on the present and the future. It does not provide regular and systematic instructions. It is less practicable in the Indian schools. The curriculum is haphazard. It is difficult to include all the basic skills and knowledge required by the learner. It does not give fixed ideals of education such as education does not help much. Pragmatic philosophy is a practical philosophy, having no fixed or absolute standards. Man always creates new value and education should help him in doing so. Being a practical and utilitarian school of philosophy, pragmatism has influenced education to the maximum extent.